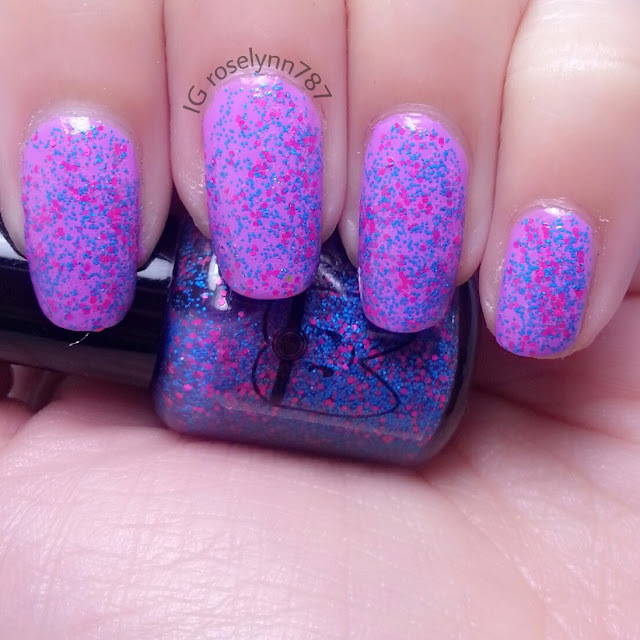 First up, we have Dinoflagellate, a sheer based polish, packed with micro glitters, blue and hot pink. Pictured is 2 coats of Dinoflagellate over China Glaze, "That's Shore Bright". There is no topcoat added in either picture, since I felt the polish left quite a nice shine. That was actually something I didn't expect from a glitter polish, but was pleasantly surprised. Something else that really shocked me - in a great way - was the amount of glitter in every brush stroke. There is definitely no glitter fishing, or the need to put on excessive amounts of coats. I personally prefer using 2 thin coats, but there is so much glitter you could definitely get away with applying one thick coat. 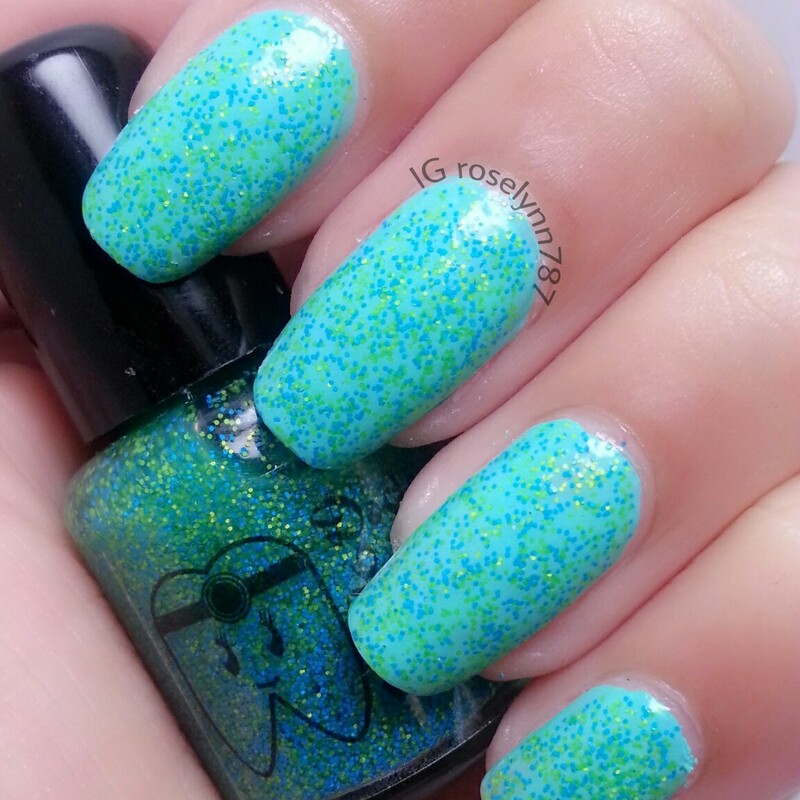 Next up, we have Plankton, a sheer green based polish, with light green and dark teal micro glitters. 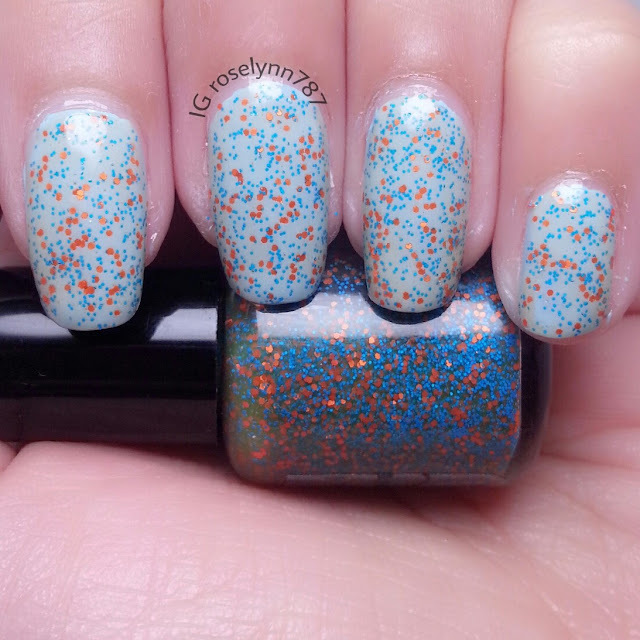 Pictured is Plankton, in 3 coats over China Glaze, "Too Yacht to Handle" - no topcoat was used. I do believe you don't have to use a base coat with this polish, if you use enough coats (probably 4-5), because of that sheer light green base it has naturally. 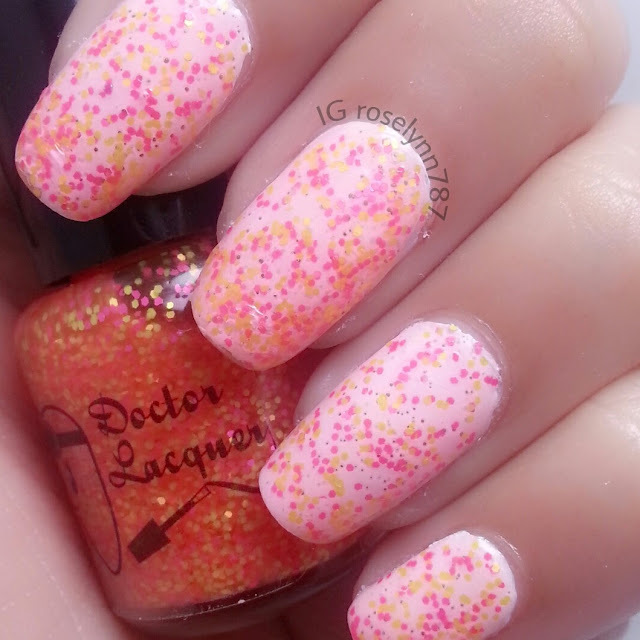 And just like all the other polishes in this collection, it is jam-packed with micro glitters in every brush stroke. I have to be honest and say that Plankton is my favorite one from the whole collection. The mixture of colors in the glitters really make this one "pop" for me and contrast nicely against my skin tone. 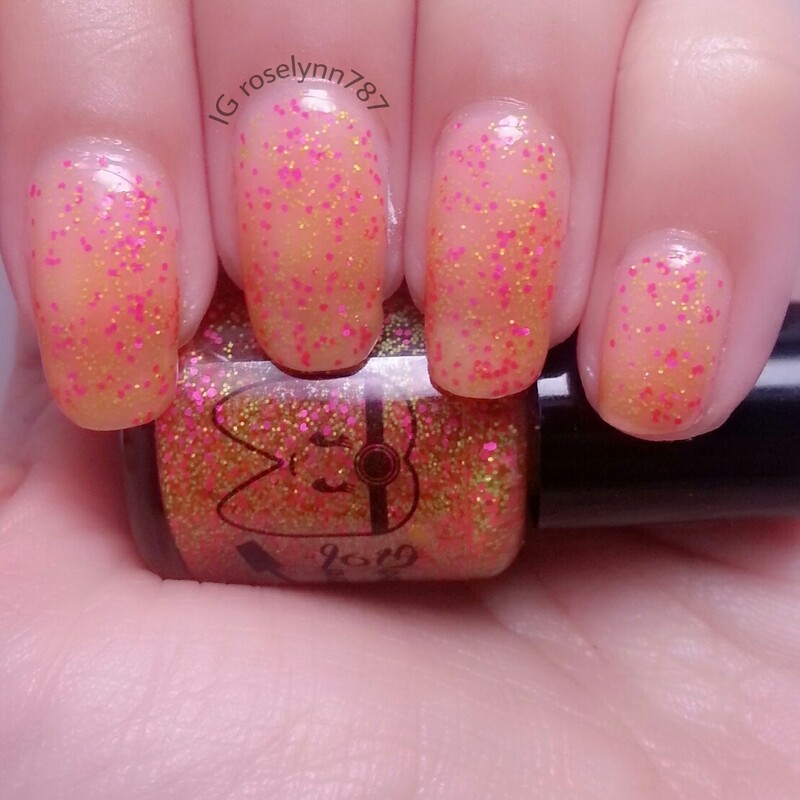 Next, we have Amoeba, a sheer peach colored polish with yellow, and a mixed variety of pink micro glitters. 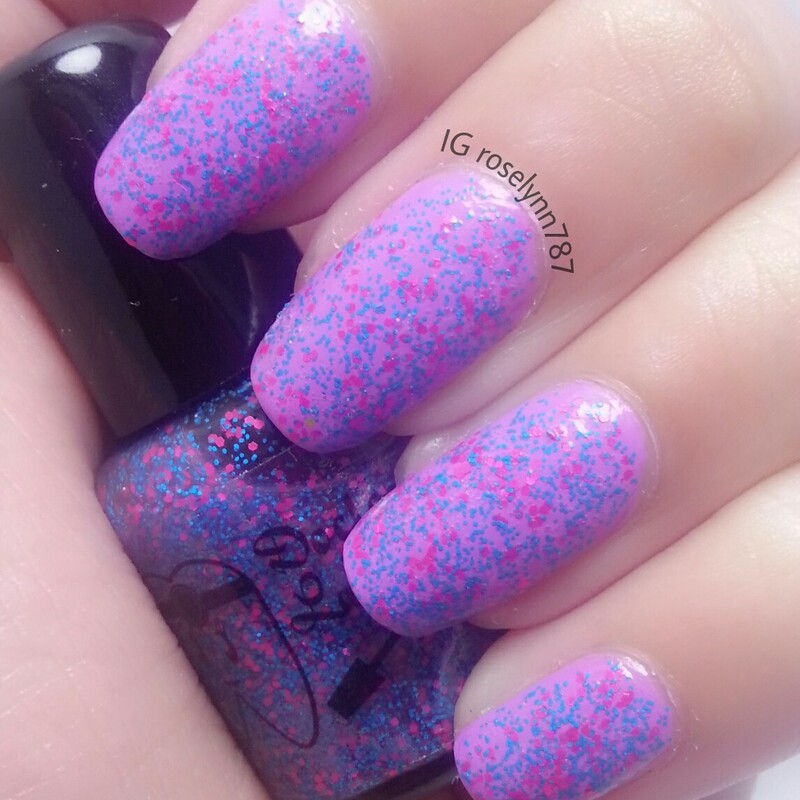 Amoeba is pictured here in 3 coats over China Glaze, "Love Letters". Please note that Love Letters is quite a sheer polish as well, and actually blends in nicely with the natural peachy base of Amoeba. For this polish, I decided to use a topcoat to add more shine, and help blend the two sheer polishes nicely together. No surprise to say, this is as well jam-packed with micro glitters in every brush stroke. 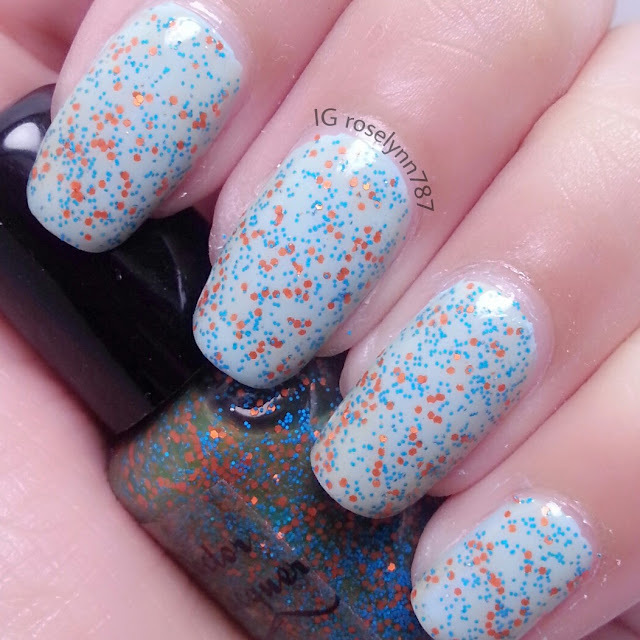 Next up we have Algae, a sheer light yellow based polish with micro blue and orange glitters. Algae is pictured here in 2 coats over Sinful Colors, "Sugar Rush," with a topcoat to boost up the shine. I had a hard time picking out a base to use with this polish; my first choice was too dark and it was hard to get the full effect of the micro glitters. 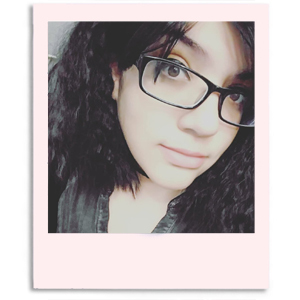 Personally, this is my least favorite in the collection, but only because I don't care for the combination of the glitter colors. Application wise, this polish is as smooth as butter and glitter packed. 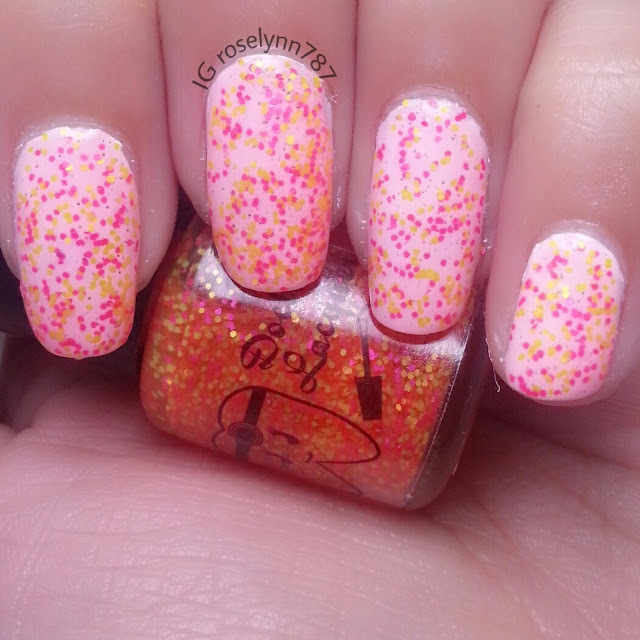 Last and not least, is Krill, a sheer light pink base polish with hot pink and yellow micro glitters. I decided for this one, to take a little gamble, and put 3 coats of Krill on a simple white base. I actually do think it would have looked better on a light pink base instead. But regardless, I love the color combination of the glitters. I didn't use a topcoat in the pictures, but I do actually recommend one, especially if you decide to use a light/white base. I think if you skip a base color and instead opt to a couple of layers you'll get a nice jelly looking mani. Overall, the Microcreatures collection by Doctor Lacquer is fantastic. 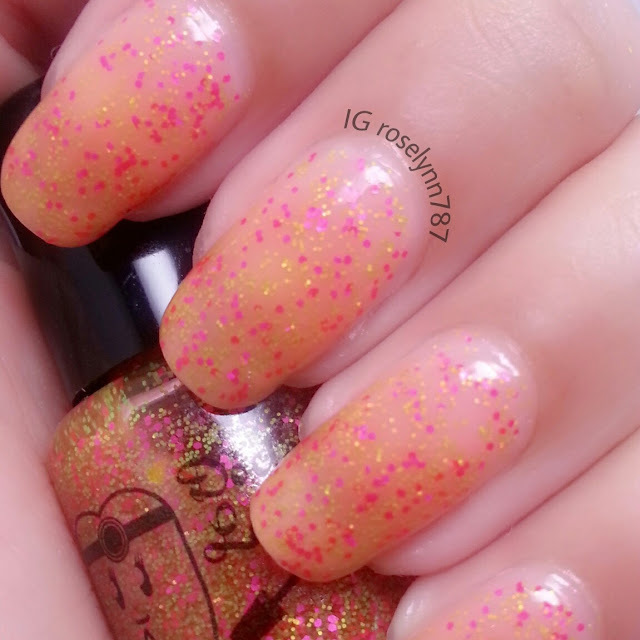 I don't think I have seen many other micro glitter polishes around and these truly stand out among the few. I definitely see myself using these in future mani's, I can't help but feel they are perfect bases for some awesome nail art! So all in all, I'm very pleased. Smooth application and glitter packed in every bottle. And I also feel I should make mention of the quality of the brushes themselves; I got the mini bottles and the brushes handled wonderfully. The reason I like pointing this out, is because I have experienced some lack-luster brushes in the last few months from other indie brands. But the ones I received with these bottles worked wonderfully which is always a plus to know, especially for mini bottles. You should definitely check out Doctor Lacquer's shop at http://doctorlacquer.storenvy.com/, and on Instagram http://instagram.com/doctorlacquer. Also, if you're lucky, you can still catch the sale going on for the complete Microcreatures collection. Purchase the set and you'll also receive a free LE mini bottle!